Location: Malko Tarnovo is a small town, the only one in the bizarre Strandzha Mountain. It is situated 470 km southeast of Sofia, 79 km south of the district town Bourgas and 10 km northeast of the border checkpoint with the republic of Turkey. History: A Thracian settlement existed in the region of the present day town. Excavation works have proved the existence of several cultural layers from different ages. According to the famous researchers, Shkorpil Brothers, the Roman roadside station Utsurgas had been located here. So called town of Malko Tarnovo exists since 16th -17th century. Probably the town was founded by settlers from the nearby villages. The main occupation of its citizens was the stock-breeding and the related handcrafts like home-woven cloth tailoring, furriery and hide processing. Carpentry, pottery, wickerwork and the making of gold jewels were also developed in the town. 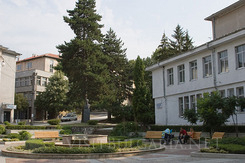 The name of the town derived from the abundance of prickling bushes – “truni” in Bulgarian. The word Tranovo modified in Tarnovo and the word “Malko” – “little” was added to be told apart the Old Bulgarian capital Veliko Tarnovo. During the Revival period the town was well arranged and rich settlement with a dynamic spiritual and cultural life. The Bulgarian customs and rituals were jealousy kept. 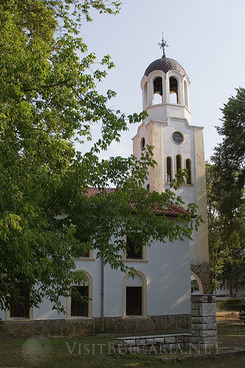 The monastery school was opened in the beginning of 19th century and the secular school in 1840. The girls’ school opened its doors about 1875. One revolutionary act of the people of Malko Tarnovo left bright traces in the Bulgarian struggle for liberation. That is the so called Saravigjuva Affair, named after one of the Turkish rulers against whose tax arbitrariness the population raised in 1875. After the Liberation, Malko Tarnovo left within the boarders of the Ottoman Empire. The participation of the people of Malko Tarnovo in the Preobrazhensko uprising (1903) is connected with the activities of the detachments of George Kondolov, Mihail Gerdjikov and George pop Aianov. The presence of big Turkish battalion in the town made it impossible for the rebels to conquer the town. After the cruel suppression of the uprising about 5000 sitizens of Malko Tarnovo were forced to migrate. 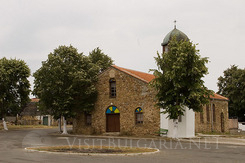 The town was liberated after the glorious march of the Bulgarian army during the Balkan war in 1912. 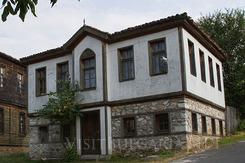 Landmarks: There are several houses from the Revival period in Malko Tarnovo. They are typical representatives of the Old Strandzha house. The museum of History is arranged in tree buildings. The exhibitions preset the Archaeology, Recent and Most Modern history of the region. In the museum of Natural Science the visitors can hear the voices of the animals living in the forest of Strandzha and to feel the fragrance of the mountain herbs. The exhibition is arranged in a very attractive way and many interesting and not so famous facts about the animals and the mountain can be learned. There are both Orthodox and Catholic churches in the town. Vicinities: Strandzha Mountain is full of legends and covered with mystery. Numerous Thracian megalithic monuments and mounds can be seen in the region. The first Thracian tomb excavated, documented and published in the Bulgarian territory of Strandzha is 5 km northwest of Malko Tarnovo. A Thracian and Roman Cult Centre is about 13 km southwest of the town in Mishkova Niva site. Bulgari village is 30 km northwest of Malko Tarnovo. Here the unique folk custom nestinarstvo is preserved. This is a cosmic ritual dance barefoot on live embers, which comes down to our time from Antiquity. It is performed in the beginning of June in the day of St. St. Constantine and Helena in front of the church, dedicated to the saints. Batanova Cave and Veleka River are declared to be natural landmarks in the region of Malko Tarnovo.